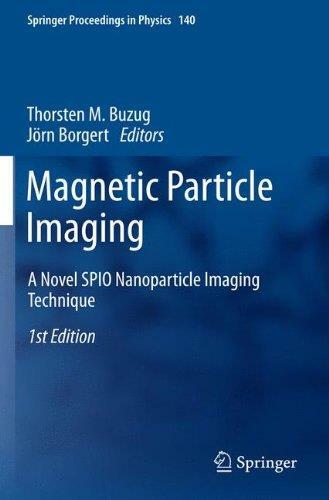 Magnetic Particle Imaging (MPI) is a novel imaging modality. 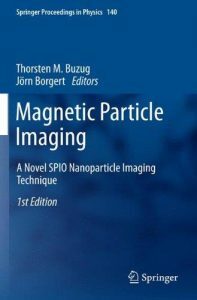 In MPI superparamagnetic iron oxide nanoparticles are used as tracer materials. The volume is the proceeding of the 2nd international workshop on magnetic particle imaging (IWMPI). The workshop aims at covering the status and recent developments of both, the instrumentation and the tracer material, as each of them is equally important in designing a well performing MPI. For instance, the current state of the art in magnetic coil design for MPI is discussed. With a new symmetrical arrangement of coils, a field-free line (FFL) can be produced that promises a significantly higher sensitivity compared with the standard arrangement for a FFP. Furthermore, the workshop aims at presenting results from phantom and pre-clinical studies. 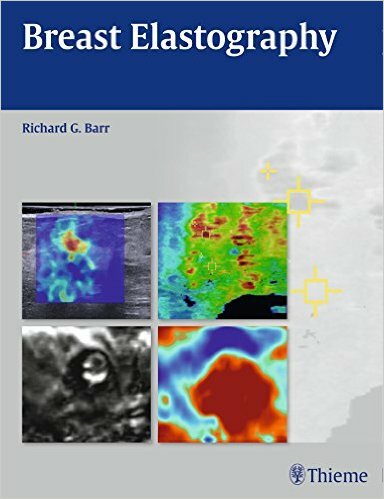 This comprehensive reference covers the principles and techniques used in performing breast elastography, an innovative imaging technology that can dramatically reduce the need for biopsies. The book begins with an introduction of the techniques, followed by sections on how to perform each technique and methods of interpretation, and concludes with more than 60 detailed case studies. Breast Elastography is an essential reference for all radiologists, residents and fellows, and sonographers involved in breast imaging and evaluation. This latest volume in the Current Clinical Imaging series offers all professionals involved with imaging a cogent, concise discussion of major issues related to health care reform from the perspective of fellow imaging specialists. It provides radiologists with a solid footing in understanding where they are now and where they can expect to be in the evolution of health care reform over the next ten years. 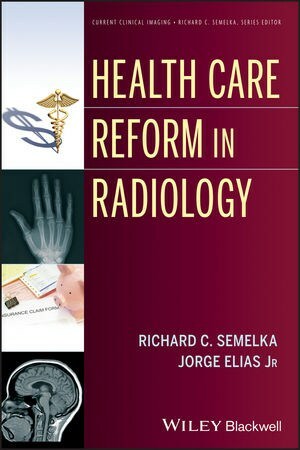 Presenting an excellent balance of clinical and health care policy issues, Health Care Reform in Radiology reinforces the central role of health promotion and preventive medicine in U.S. health care systems while offering an international perspective on the subject. Topical coverage includes evidence-based outcomes for health care delivery, the impact of the determination of imaging tests’ effectiveness, patient safety, medicolegal reform, reimbursement issues, and universal healthcare benefits and challenges. 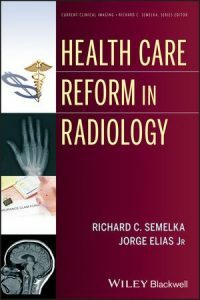 Developed and written by two top experts in the field, this is an ideal book for all professionals involved with imaging as well as physician groups that depend on radiology. Document imaging is a new discipline in applied computer science. It is building bridges between computer graphics, the world of prepress and press, and the areas of color vision and color reproduction. The focus of this book is of special relevance to people learning how to utilize and integrate such available technology as digital printing or short run color, how to make use of CIM techniques for print products, and how to evaluate related technologies that will become relevant in the next few years. 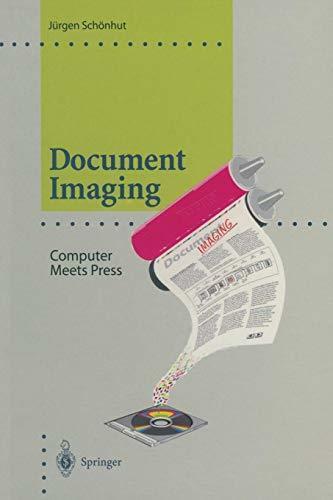 This book is the first to give a comprehensive overview of document imaging, the areas involved, and how they relate. 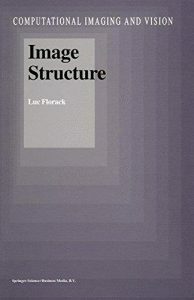 For readers with a background in computer graphics it gives insight into all problems related to putting information in print, a field only very thinly covered in textbooks on computer graphics. 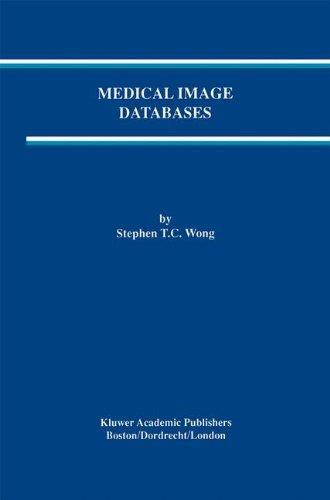 Medical Image Databases covers the new technologies of biomedical imaging databases and their applications in clinical services, education, and research. Authors were selected because they are doing cutting-edge basic or technology work in relevant areas. 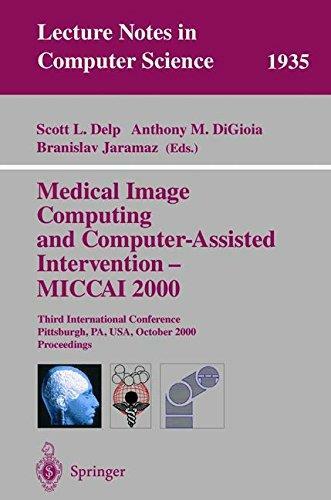 This was done to infuse each chapter with ideas from people actively investigating and developing medical image databases rather than simply review the existing literature. The authors have analyzed the literature and have expanded on their own research. They have also addressed several common threads within their generic topics. These include system architecture, standards, information retrieval, data modeling, image visualizations, query languages, telematics, data mining, and decision supports. The new ideas and results reported in this volume suggest new and better ways to develop imaging databases and possibly lead us to the next information infrastructure in biomedicine. 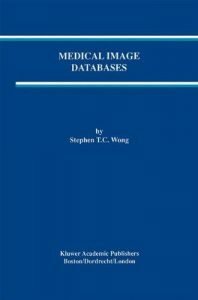 Medical Image Databases is suitable as a textbook for a graduate-level course on biomedical imaging or medical image databases, and as a reference for researchers and practitioners in industry. 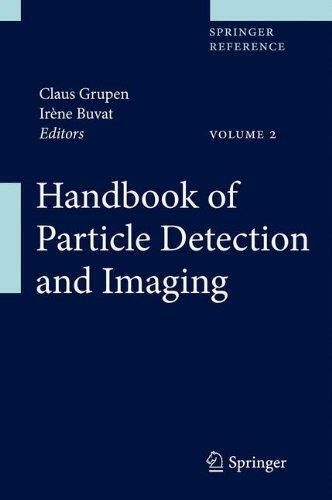 The handbook centers on detection techniques in the field of particle physics, medical imaging and related subjects. It is structured into three parts. The first one is dealing with basic ideas of particle detectors, followed by applications of these devices in high energy physics and other fields. In the last part the large field of medical imaging using similar detection techniques is described. The different chapters of the book are written by world experts in their field. Clear instructions on the detection techniques and principles in terms of relevant operation parameters for scientists and graduate students are given.Detailed tables and diagrams will make this a very useful handbook for the application of these techniques in many different fields like physics, medicine, biology and other areas of natural science. 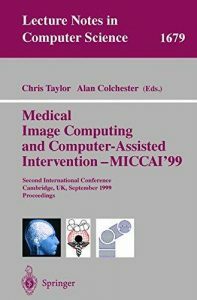 This book constitutes the refereed proceedings of the Third International Conference on Medical Image Computing and Computer-Assisted Intervention, MICCAI 2000, held in Pittsburgh, PA, USA in October 2000.The 136 papers presented were carefully reviewed and selected from a total of 194 submissions. 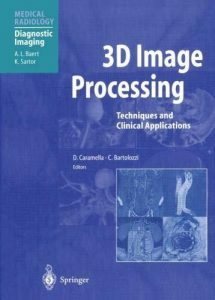 The book offers topical sections on neuroimaging and neuroscience, segmentation, oncology, medical image analysis and visualization, registration, surgical planning and simulation, endoscopy and laparoscopy, cardiac image analysis, vascular image analysis, visualization, surgical navigation, medical robotics, plastic and craniofacial surgery, and orthopaedics. 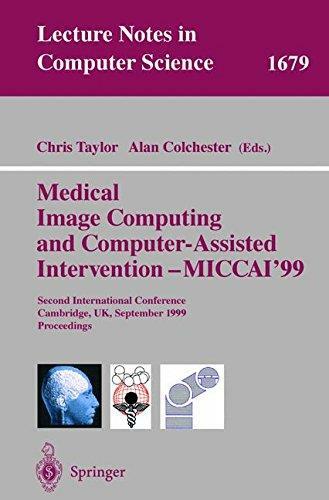 This book constitutes the refereed proceedings of the Second International Conference on Medical Image Computing and Computer-Assisted Intervention, MICCAI’99, held in Cambridge, UK, in September 1999.The 133 revised full papers presented were carefully reviewed and selected from a total of 213 full-length papers submitted. 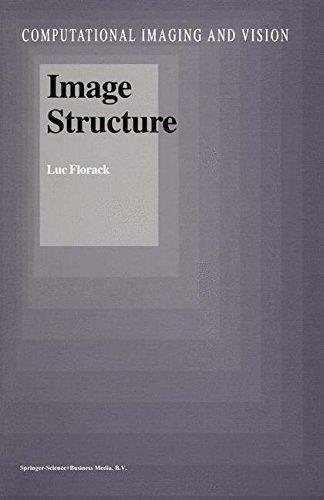 The book is divided into topical sections on data-driven segmentation, segmentation using structural models, image processing and feature detection, surfaces and shape, measurement and interpretation, spatiotemporal and diffusion tensor analysis, registration and fusion, visualization, image-guided intervention, robotic systems, and biomechanics and simulation. Few fields have witnessed such impressive advances as the application of computer technology to radiology. Post-processing and 3D reconstruction of diagnostic images are essential for the representation of complex anatomical structures and for an understanding of pathological changes in terms of both morphology and function. The progress achieved has greatly facilitated treatment selection and accurate planning of procedures. 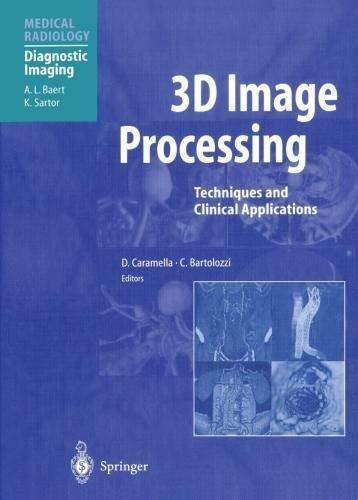 This book, written by leading experts from many different countries, provides a comprehensive and up-to-date overview of the role of 3D image processing. The first section covers a wide range of technical aspects in an informative way. This is followed by the main section, in which the principal clinical applications are described and discussed in depth. To complete the picture, the final section focuses on recent developments in functional imaging and computer-aided surgery. This book will prove invaluable to all who have an interest in this complex but vitally important field.